Tutor Charlotte provides a low cost high quality after school and weekend academic master tutor, Dr. Kevin L. Powell, a mathematician, theoretical physicist, logician, writer, and political commentator in Charlotte for all levels of mathematics, reading comprehension, SAT/ACT tutoring, science, English grammar and composition, and history to students in grades 4 through 12 including preparation for the North Carolina EOG and EOC. Dr. Powell is an expert helping ADHD and ADD students. Dr. Kevin L. Powell is a professional master tutor who is an astute observer, a thorough analyst, a careful researcher, an educational innovator, a creative thinker, and an empathetic collaborator. A master tutor must have two years of written study in logic and analytical reasoning and critical thinking, a commitment to study 4 hours a day for life, a doctorate in mathematics, and a master's degree in one of the following: Philosophy, Physics, Chemistry, English, Biology, and History. As a master tutor, Dr. Powell brings a broad conception of education to bear on the specific needs of his individual students. He helps each student find his/her path in the transition from student to scholar. In this role, Dr. Powell commands multiple means of addressing a student's issues including expertise in the subject areas he teaches, an understanding of the multiple ways students learn, an appreciation for the ancillary skills students must master (time management, self-motivation, metacognition- higher-order thinking that enables understanding, analysis, and control of one’s cognitive processes, especially when engaged in learning), and a spirit of collaborative research with each student and their parent(s) to solve the puzzle of the student's own learning needs. Academic Success Starts With You! Tutor Charlotte can provide your student with daily academic help with their homework, and preparation for their quizzes, tests, and exams in school in the convenience of your student's home after school and online. In our interactive online classrooms, your student can speak directly to the master tutor live, view educational materials, ask and answer questions about homework, and complete practice quizzes, tests, and exams in preparation for upcoming quizzes, tests, and exams. Tutor Charlotte provides low cost academic tutoring. We offer parents subsidized academic tutoring at a price a middle-income family can afford. Program I Intensive 1 on 1 Online Tutoring $75.00 Per Month! One Subject-30 Days of Online Tutoring. Total Hours of Tutoring Up to 12 Hours! Program II Intensive 1 on 1 Tutoring $140.00 Per Month! One Subject-10 Hours of In-Person Tutoring and 30 Days of Online Tutoring. Total Hours of Tutoring Up to 28 Hours! Program III In-Person 2 Subject Tutoring $150.00 Per Month! Two Subjects-12 Hours of In-Person Tutoring and 30 Days of Online Tutoring. Total Hours of Tutoring 30 Hours! Program IV In-Person 3 Subject Tutoring $160.00 Per Month! Three Subjects-12 Hours of In-Person Tutoring and 30 Days of Online Tutoring. Total Hours of Tutoring 32 Hours! Program V Unlimited Comprehensive Tutoring $250.00 Per Month! Up to four subjects-20 Hours of In-Person Tutoring plus 4 hours free and 30 Days of Online Tutoring, a total of 40 hours of tutoring per month! 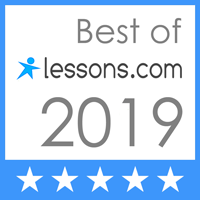 Summer Academic Learning 2019-Intensive Academic Instruction in Mathematics, English Grammar and Composition, and Reading Comprehension. 72 - 108 hours of intensive Classroom instruction. We focus primarily on three methods to help your student when they are online in our interactive live classroom. 1. Do you have any homework in the subject being tutored? If so, we help the student understand, comprehend, and complete their homework. 2. Do you have a quiz, test, or exam this week we can help you prepare for? If so, we review the particular material the student will be quizzed or tested on. 3. Do you need a lesson on a particular concept your teacher taught that you did not understand? If so, we tutor, re-teach, and explain the concept(s) in a way your student can understand and comprehend. Your student can make appointment requests for academic tutoring as they need weekly. Your student will need access to the internet, a computer with speakers and a printer, and a phone in order to be tutored online during the weekday. On the weekends Friday, Saturday, and or Sunday, your student can be taught or tutored in-person at our location, using a recommended textbook, by the master tutor and we cover only the particular concepts your student will be tested on in school or based on our academic assessments and approved curriculum. The classical method develops independent learning skills on the foundation of language, logic, and tangible fact. Beyond subject matter, it develops those skills that are essential in higher education and throughout life -independent scholarship, critical thinking, logical analysis, and a love for learning. The master tutor teaches students strictly from accepted current academic textbooks such as Holt, Glencoe McGraw-Hill, Prentice Hall, Saxon, Blitzer, Scott Foresman, Pearson, and McDougal-Littell. We do continuous academic assessments of your students reporting to you and your student's teachers bi-weekly. We communicate with your student's teachers every two weeks. We contact your student's teacher for guidance on how to help your student. We check PowerSchool weekly to keep track of your students academic progress. We care about our students. We understand family issues and dynamics. We understand the need for high quality supplemental education and low cost academic tutoring. Therefore, we offer a full supplemental education program based on international academic standards. The Tutor Charlotte Curriculum is all encompassing from deep mathematics and English grammar to chemistry and physics. Academic Discipline is the key to academic success. Therefore, when your student performs poorly academically in school or during tutoring sessions due to lack of preparation and or poor study habits, poor behavior in school, and or other irresponsible behavior that prohibits academic success, your student will receive a 6 hour invitation to tutoring at a cost of only $20.00. Dr. Kevin L. Powell, Mathematician, Physicist, Writer, Political Commentator, and Master Tutor for Tutor Charlotte Inc. World Wide. 24 Years of Experience as a Master Tutor, Doctorates in Mathematics, Master's in Physics, Economics, and Business Administration, Bachelor's of Science in Business Administration, Associates of Applied Science in Accounting. "I will give your student the power of education. Education is the most powerful tool any person can have." At Tutor Charlotte, we care about offering a student all the academic tutoring they need in order to succeed. Directions to the Tutor Charlotte office can be found by clicking the pointer below on the map. Office Hours: 8:00 a.m. - 3:00 p.m. M-F or anytime on the weekend. Tuesday 2:00 p.m. to 10:00 p.m.
Wednesday 2:00 p.m. to 10:00 p.m.
Thursday 2:00 p.m. to 10:00 p.m.
Friday 2:00 p.m. to 8:00 p.m.